Play towers provides a range of flexible range of interactive towers with the ability to be customised to suit any user age group, budget and space available. You have the opportunity to choose from a standard adventure arrangement or instead create your very own bespoke tower selections. This is a very exciting and active playset that will get your children outside and keep them active throughout the warmer seasons. Climbing wall panels are available in single units or multiple versions and climbing wall panels can be installed in a number of designs of shapes and sizes. 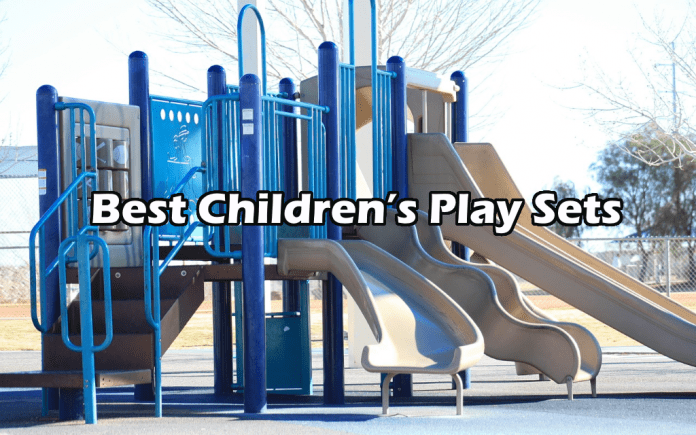 They are a good way to get your children healthy and active and the climbing walls are also a functional way to hide unsightly areas of the playgrounds or screen fences if you were to put this in a school yard. Sandpit Tables emulate the sense of being at the beach and can have up to six children seated at them, with more standing room available. The tables comes with a tool to remove the HDPE lid and has safe rounded corners and edges which act as an additional play surface so more kids can join in. The idea of this play set is to bring the beach to your youngsters. You can wet half the sand to make sand dunes and different formations too. As you know and surely experienced, wet sand is perfect for making sand castles, so this little play set will keep the children occupied for hours on end. This playset manages to test and develops a child’s strength, durability, agility and coordination. A lot is contained with this play set; you get a rope, a ladder, jungle swing, monkey bars and a fireman’s pole. With all of these additions, a number of kids can enjoy this and really be entertained with what’s on off with the treetops three. There’s a lot going on with this play set. The beacon double tower comes with a slide, ladder, rock wall, scramble net and clatter bridge. This will get the children in a sense of adventure and is suitable for a range of ages. They will never get bored with this playset and keep active at the same time.